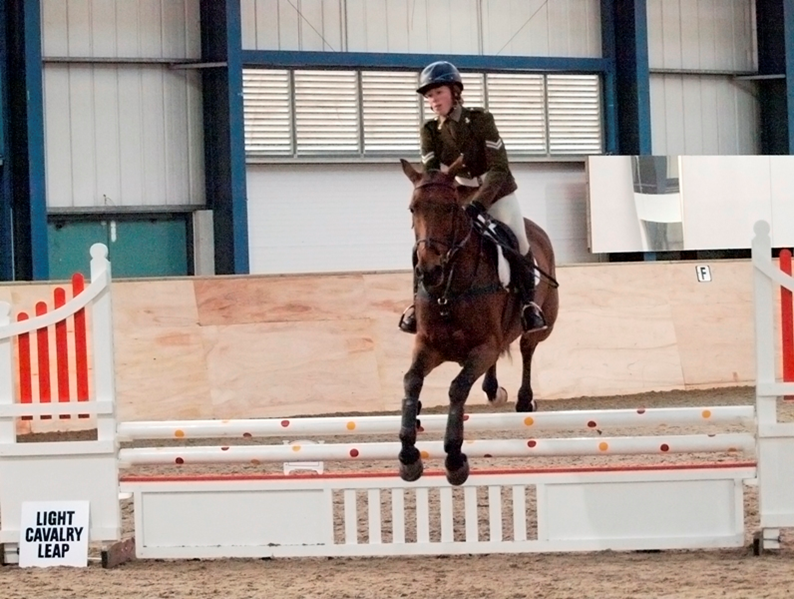 A talented cadet from Meopham is riding high after her squad was crowned Best UK Team at this year’s Uniformed Services Show Jumping Competition, Woolwich, beating 12 experienced mounted units from the likes of the Military Intelligence, Royal Logistics Corp and Police. A public consultation on school admissions arrangements for 2014 has started. A glowing report from Ofsted inspectors has underlined a Medway special school as one of the foremost of its kind in the country. ALL aspects of Abbey Court Community School, from the achievements of the pupils and their behaviour to the quality of teaching, leadership and management, have been judged as outstanding by Ofsted inspectors. Inspectors visited the school, which had also been rated as Outstanding when it was last inspected in 2010, over two days at the end of October, observing lessons, speaking with staff, pupils and parents. Abbey Court, which has sites in Rede Court Road, Strood and Long Catlis Road, Rainham, caters for 146 pupils aged between three and 19 with severe and profound learning difficulties. It has specialist status for cognition and learning and the inspectors refer to the numerous awards it has won for different aspects of its work including the British Council’s International School Award in recognition of its involvement in global activities. Headteacher Karen Joy’s inspirational leadership, together with the support of her highly effective senior team, is highlighted in the report. The inspectors say this ensures the school meets fully its vision and aims and lives up to its motto “We grow people”. All the staff are dedicated and have a high level of commitment. The highly experienced governors provide outstanding support as well as ensuring the school is financially stable. A questionnaire and regular surveys show parents feel their children are happy and safe at school. According to the report, pupils are happy and eager to get to school in the morning and adults greet them with a genuine sense of warmth which immediately puts them at ease. Attitudes to learning are said to be excellent because of the wide variety of well chosen activities. The main teaching strength is seen in the way all teachers and adults work together to help the pupils achieve their individual learning targets. The pupils’ outstanding progress is particularly evident in literacy, numeracy and information and communication technology. Those with speech, language and communication needs make significant strides thanks to a range of new technologies as well as the use of picture symbol cards. Emergency repair works will be carried out on Rochester Bridge, starting on Monday 26 November. A section of the bridge was damaged by a recent road traffic accident. The damaged section will be removed and other works carried out to ensure the bridge is safe. Medway Council will soon be able to offer residents weekly recycling collections, thanks to a successful bid for government funding. Medway Council has issued a warning about missed parcel delivery cards that could end up costing people hundreds of pounds this Christmas. Cllr Mike O’Brien, Portfolio Holder for Community Safety and Customer Contact, is highlighting the risks especially as, in the build up to Christmas, many people will have packages ordered for presents due to arrive on doorsteps. The bogus delivery company is posting calling cards through letter boxes, informing the resident that they tried to deliver a parcel but there was no one to take it. The name of the company on the card is PDS or Parcel Delivery Service. The card gives a premium rate telephone number for the resident to call to re-arrange another delivery time. But as soon as the call connects to this number, it is diverted to an automated recording and the resident will be charged £315 for the call. It is thought the company is based in South America. 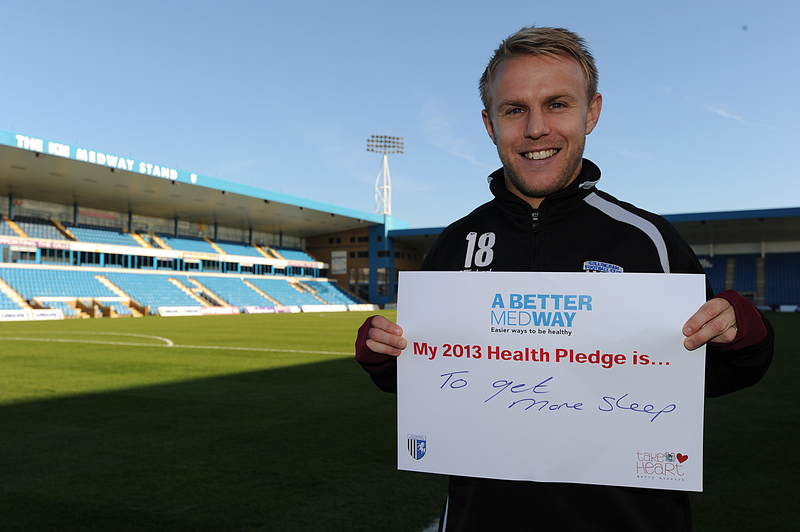 Gillingham FC players have shown their support for a Medway health campaign, by making health pledges for 2013. The A Better Medway team were at the MEMS Priestfield Stadium on Thursday (22 Nov) to promote the Healthy New Year winter campaign and encouraged the squad to make a pledge, as more than 160 people in Gillingham and Chatham did last week. The footballers’ pledges covered a range of healthy goals for 2013 including staying positive, reducing caffeine intake, cycling to work and eating smaller portions. Defender Andy Frampton tweeted his support for the campaign after he made his pledge; “All in a good cause and hope the message gets out #livewell”. Medway residents are encouraged to make a health pledge during November, December and January. 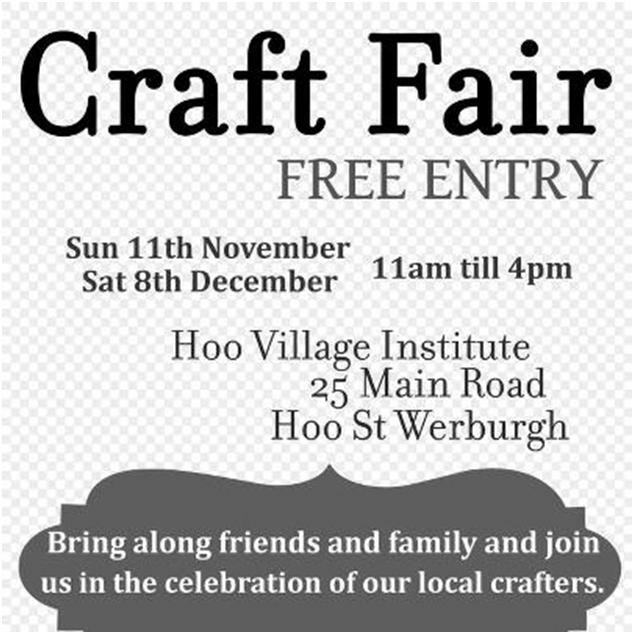 Those who do will be entered into a free prize draw to win a range of prizes including an i Pad 3, Gillingham FC signed football and family trip to Diggerland. The pledge entry form also contains 20 tips to stay safe and healthy this winter. Gillingham Market – Monday; 3 December; Saturday, 22 December or Monday, 7 January 2013. Chatham High Street – Thursday, 13 December or Thursday, 24 January 2013. Strood Market – Tuesday, 27 November; Saturday, 15 December or Tuesday, 15 January 2013. 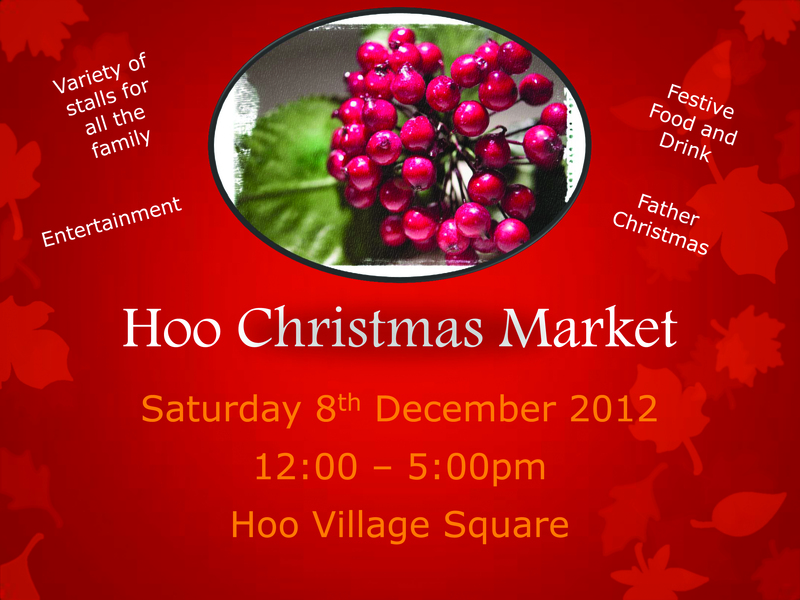 Rainham Town Centre – Thursday, 29 November or Thursday, 20 December. Rochester High Street – Thursday, 10 January 2013. NHS Kent and Medway, Kent County Council and Medway Council have won £1.2 million in funding from NHS South of England’s Dementia Challenge Fund for four new projects to help patients with dementia in Kent and Medway. The projects will support patients with dementia in hospital, train GPs in early diagnosis, train hospital and care home staff, reduce anti psychotic prescriptions and improve the life of dementia patients by developing dementia friendly communities. Groundwork Kent and Medway Landscape Design Team, Medway Council, mhs homes and other partners have secured funding from The Big Tree Plant to plant more than 25,000 trees in Kent and Medway over the next three years. 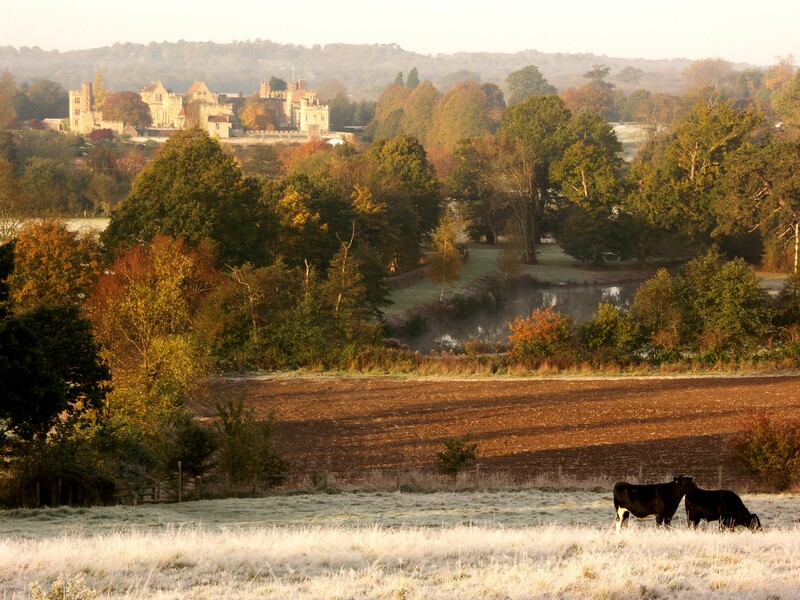 Christmas spirit will fill the air as one of Medway’s most iconic settings will come alive with the sound of festive carols next month. 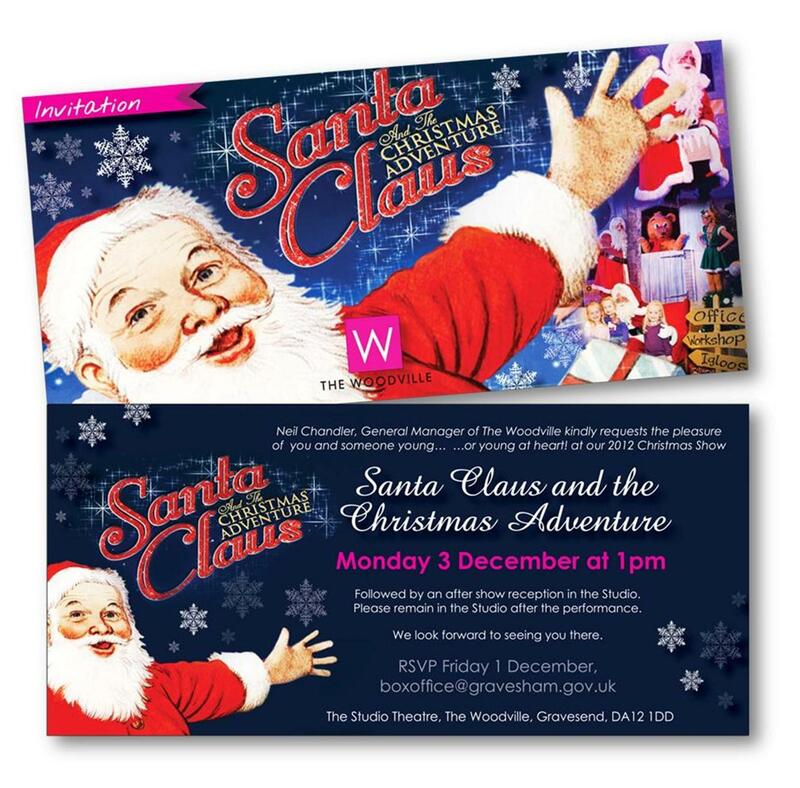 More than 1,000 children will descend upon Rochester Cathedral for a series of carol concerts as part of the Medway Music Association’s (MMA) annual festive musical event. The UK’s No 1 Folk and Hip Hop Dance act is performing in Chatham at the Brook Theatre on Monday, 19 November, 2012. The groundbreaking show from The Demon Barbers is called The Lock In and puts three forms of folk dancing into a theatre performance. The Lock In has been described as Morris dancing meets the Irish Riverdance, with hip hop thrown in. The dancers say they bring some of the UK’s oldest forms of dance bang up to date with some of the youngest in this exciting new show which comes to Chatham as part of it’s UK tour. The NHS in Medway is supporting Self Care Week (Monday, 12 to Sunday, 18 November), which encourages people to take greater control of their own health and well-being. The first ever Police and Crime Commissioner Elections are scheduled to take place next Thursday, 15 November 2012.